App marketers and companies may be mobile-first by definition, but they need to be cross-platform by design if they want to reach and engage users across the multitude of platforms and devices—powered by apps—that define daily life. The winning approach is one that creates a seamless experience across the mobile web and apps, blending both digital and apps—but it’s also the hardest to achieve. The path to deliver more holistic—and hence effective app experiences and acquisition campaigns—is hampered by significant technology hurdles and made worse by the absence of cookies and the shortcomings of mobile attribution. Hot on the heels of news that Branch has acquired TUNE’s Attribution Analytics platform and team, we continue our Women In Mobile series with Branch co-founder Mada Seghete. This series recognizes the women who play a pivotal role in the App Economy. Branch is a company best known for developing the industry’s leading deep linking infrastructure that helps companies drive seamless mobile experiences. Today, the company powers deep linking and measurement for more than 40,000 apps and 3 billion monthly users. Simply put, it is a company that has always put mobile first. Mada, one of the company’s four co-founders, is one of today’s most passionate advocates for finding new ways to combine the digital world and the app realm. 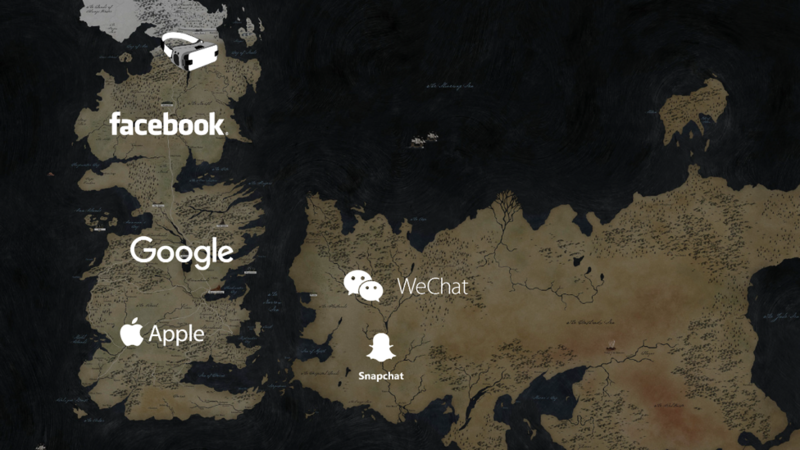 Mada draws from Game of Thrones to shine a light on the issues app marketers face and the strategies they can follow to secure their territory. She also discusses the importance of “connectedness” in her personal life, where she strives to connect female entrepreneurs with the funding they need to excel. It was just over a decade ago that Mada, born in 1982, was doing her MS degree at Stanford and working with startups. She decided she could build companies, not just solutions. 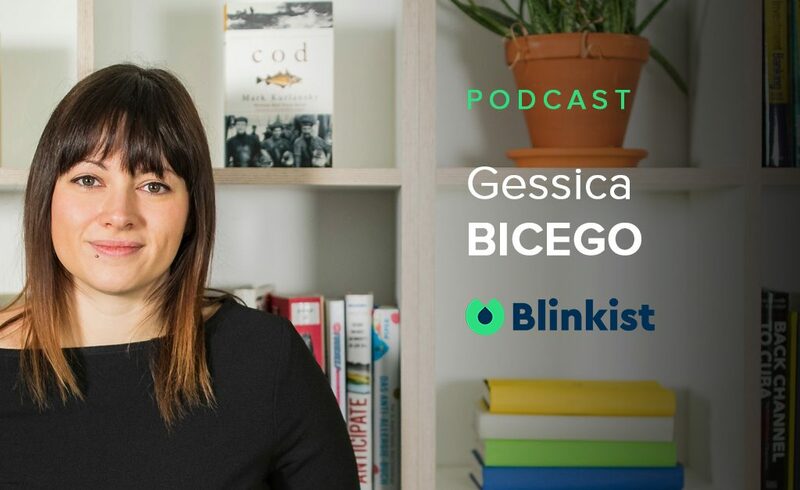 She combined her desire to do both after she ran into roadblocks in her efforts to develop marketing and segmentation strategies for a photobook printing app called Kindred. “I was basically the designer and the marketer for the app, and was leveraging Facebook ads in the early days,” she recalls. A/B testing and other data told Mada her audience was dominated by two segments (moms and teenagers) who had very different needs. Moms were likely to buy a bunch of books at once and weren’t put off by price, while teenagers—though not big spenders—had significant social currency, sharing the app with their friends and community. This wasn’t possible at the time, so Mada sat down with her co-founder Alex Austin to figure it out. The result was Branch, the company Mada, Alex, and their co-founders Mike and Dmitri founded in 2014. App marketers and companies are under pressure to deliver what users will perceive as completely connected experiences at every stage of the funnel, in-app or out, in a space that is essentially breaking apart. Data, context and attribution are critical for delivering unified and amazing app user experiences, and are also the property of companies that fiercely guard their territory. Players that provide operating systems (iOS, Android, tvOS, fire, watchOS), devices (smartphones, tablets, smart TVs, watches, connected cars), platforms (Facebook, Google, WeChat) and media (apps, browsers and video) are vying for control of the customer. While Mada may not see herself as the Mother of Dragons, her approach and advice certainly fit the part. Like Daenerys Targaryen, a queen in the popular series who is determined to end slavery and injustice, Mada enables app marketers and companies to take charge of the user experiences they enable, and transcend the walled gardens erected by the other empires. The answer, Mada explains, lies in approaches that equip app marketers and companies with the tools necessary to build their own mobile kingdoms. These kingdoms drive customer connection and—more importantly—stitch together experiences that connect people to what they want how they want it. Mada has identified four steps to achieve this goal. #1 Build your own fortress. Create a robust and interesting ecosystem with your app presence at the center. In this scenario, app marketers make use of all the channels at their disposal—including their website—to bring people to the app and keep them there. A prime example is Ticketmaster, which has built a mobile app allowing users to discover, buy, transfer and sell tickets to thousands of live music, sporting, arts, theater and family events. #2 Fight for your users. Rather than battle the platform empires, find smart ways to lure your users into your app. Here it’s all about shortcuts that offer your users an innovative, personalized onramp straight back to your app. As an example, “You can write code, and Branch can help you with that, so users click on a link in WeChat and can still access the content.” In this scenario, Mada explains, Branch finds gaps in the walled garden and takes the opportunity to offer “a kind of default page for the app” within the territory protected by the WeChat browser. In the case of Facebook, banners that appear as a call-to-action to install the app direct users to the marketer’s website or destination, where they can do just that. #3 Find allies. Reams of research shows people are spending more time in their apps, but they also want to do more with their apps. This is where partnerships with other apps and companies make business sense. In this scenario, Mada explains, it’s all about joining forces to enhance the user experience. “Get it right and connecting apps removes the friction from interaction and transaction, and increases customer loyalty.” A prime example is SpotHero, the parking app that has teamed up with Waze, allowing users to directly find parking at their destination. Branch makes the connection—literally—with some smart moves and deep linking. “A link is generated in Waze that can direct users to parking for that location in SpotHero.” The outcome is a new stream of revenue for apps and brands that can now occupy the lucrative intersection between intent and context, and a new sense of freedom from the empires. #4 Identify and leverage arbitrage opportunities. Growth marketers and app marketers stress the importance of taking advantage of new platforms early in the game. Mada comes through loud and clear with the same message. One example is Android Instant Apps, a new way to drive interest (and interaction), praised as the way for brands and businesses to leverage the maximum marketing potential of their mobile apps. Likewise, Mada observes, Facebook’s aggressive push into video offers app marketers a great opportunity to get the attention of highly engaged users without paying a high price. “Video ads are cheaper than regular ads, so if you use video, you’ll likely get a better ROI.” But before you make your move, Mada encourages you to do your homework. Winning is all about pinpointing the features platforms are proactively promoting in advance, and then mapping out a strategy to ride that wave. Brands and businesses need no lessons when it comes to attracting our attention. They exist to produce content, campaigns and pure excitement that put them in front of their target audiences. However, they do need help when it comes to finding ways to transcend the barriers of walled garden empires, to drive customer connection and ultimately conversions. Enabling brands and businesses to take ownership of the customer experience has long been the driving force at Branch. But Mada isn’t stopping there. She has injected this same passion into her personal life, investing exclusively in female entrepreneurs. “I only invest in women, and I do very early stage,” Mada explains. She looks for solid businesses and solid leadership, and she invests time as well as money. For example, Mada keeps office hours every month where she mentors female founders. It’s a mindset that has to change—and will change—as more women connect and learn from each other. Expect Mada, a woman laser-focused on bridging the gap between mobile and digital, to help women make the connections that will make the difference.